Open and bright 3 bedroom + office + family room with large living room/dining room combination! 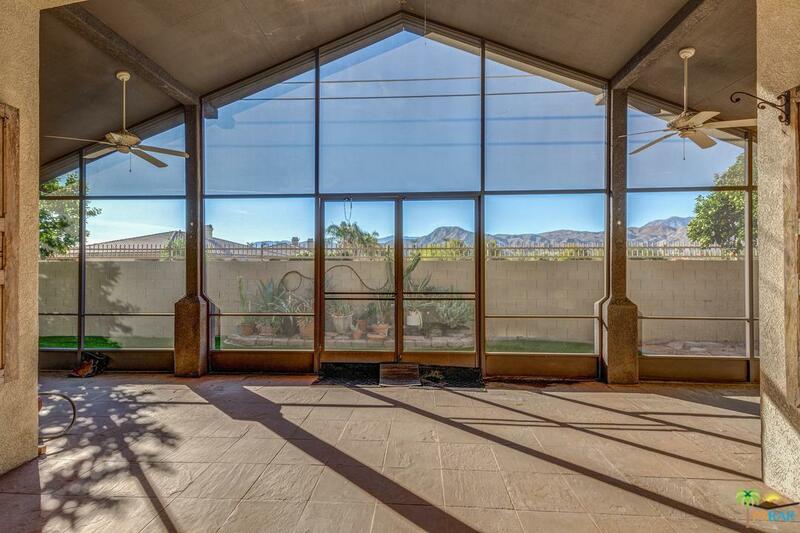 Tons of living space & dramatic vaulted ceilings.Tile flooring and ceiling fans throughout the property. 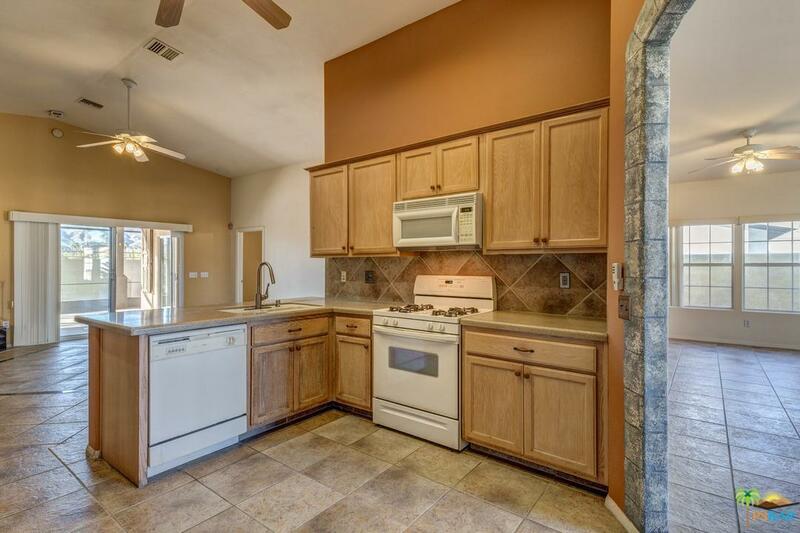 Kitchen has huge walk in pantry, pullouts in cabinets, gas cooking, refrigerator w/ice maker. 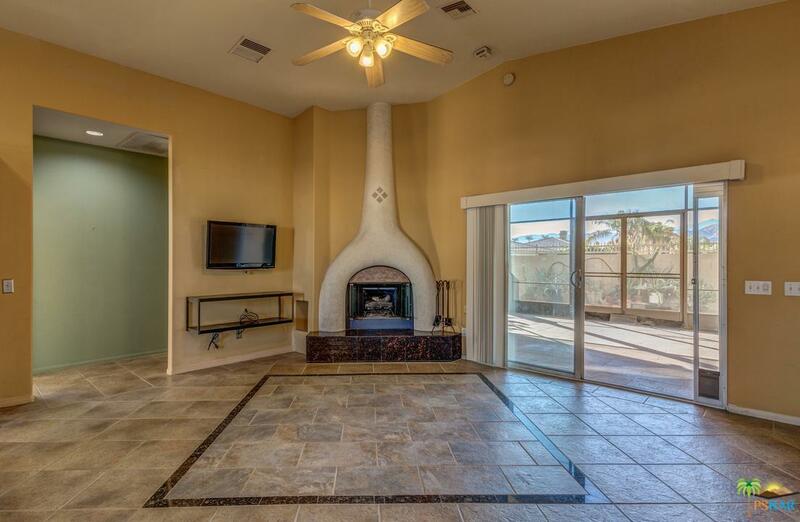 Kitchen is open to the great room with large fireplace. 2 guest bedrooms with bath in between. Guest bath has a tub/shower. Master bedroom suite is on the other side of the house. Master has a huge walk in closet, shower and double vanity. Expansive screen enclosed "Florida Room" that has tile flooring opening to unobstructed fabulous mountain views to the south & east. No neighbor behind you! Block walls surround the sides and rear giving privacy to enjoy the mature vegetation & fruit trees. Sold by Nonmember Agentdefault BRE#01745113 of Nonmember Officedefault. 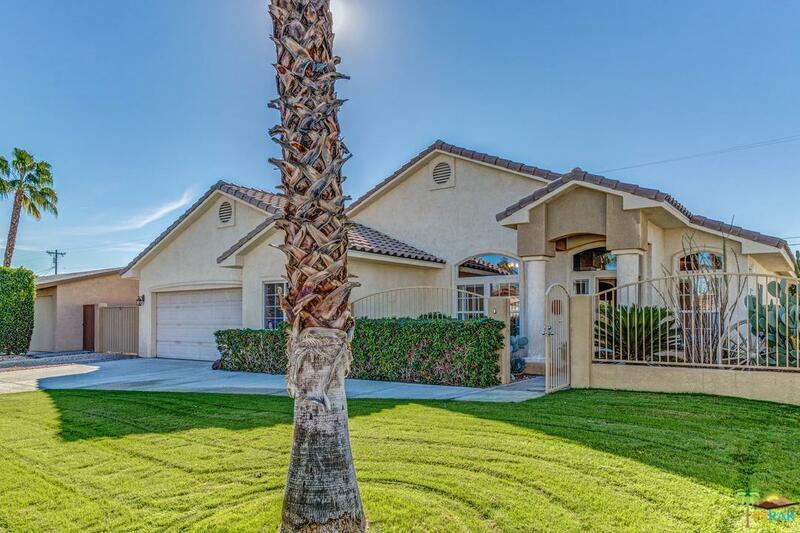 Listing provided courtesy of Johnsie Walsh DRE#01745113 of Bennion Deville Homes.